Wilsonville, OR – Achieve TMS, the largest and most experienced provider of deep Transcranial Magnetic Stimulation (dTMS) for the treatment of depression, is opening a third state-of-the-art center in the greater Portland area on January 1, 2018. This new center, located in Wilsonville, will treat local residents who have major depressive disorder and are unable or unwilling to take medications. Free consultations are now available. Deep TMS (dTMS) treatments are approved by the FDA and covered by nearly every major commercial insurance carrier in the U.S. Allison Hadley MD is Medical Director for Achieve TMS Oregon and also serves on staff at The Unity Center for Behavioral Health in Portland. *Deep TMS works by administering magnetic pulses through an H-coil on the scalp that is targeted to the mood center of the brain. The magnetic fields induce electrical currents that stimulate underactive neurons, helping to reset brain chemistry, resulting in improved sleep, concentration and overall mood. It is safe, non-invasive and highly effective for those who are treatment resistant and/or have experienced no relief from medication. In more than 60 clinical studies globally, dTMS has consistently demonstrated statistically significant response and remission rates. The therapy is well tolerated by patients, causing no adverse effects. Treatment sessions are prescribed five days per week for six weeks, with each session lasting 20 minutes. There is no sedation involved, and no down time. The new Achieve TMS Center in Wilsonville is located at 8755 S.W. Citizens Drive Suite 203. 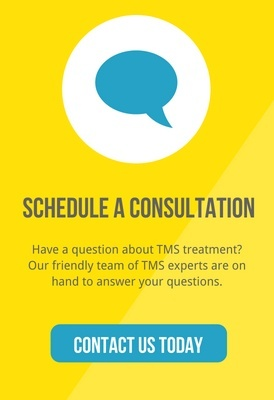 Achieve TMS welcomes inquiries about dTMS treatments and is scheduling complimentary consultations and appointments for Wilsonville at this time. For more information please contact Achieve TMS at (877) 391-7019 or visit www.achievetms.com. Can Magnets Heal a Broken Heart?